Today I turned 51 and have decided I definitely don't miss work. 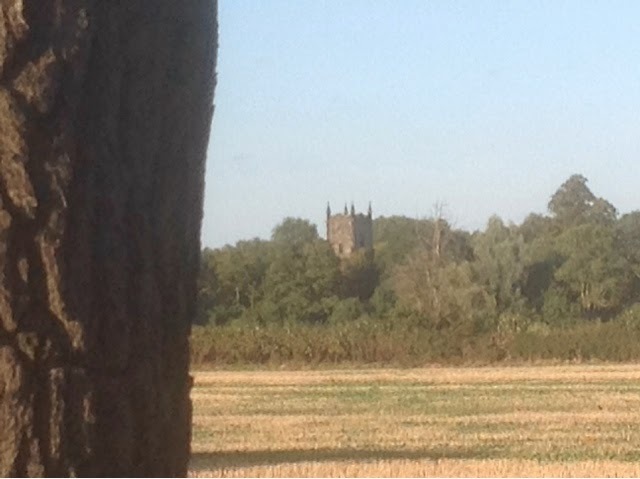 This is our second day near Grendon and what a difference a day makes. Yesterday afternoon was grey and chilly and we even lit the stove just to try it out. Today I am writing this in glorious sunshine with clear blue sky and the forecast is this is set to last for a week or so. This morning the smartguage which measures the remaining power in the batteries showed that we had used 30% and that we now needed to run the engine to recharge them. We ran the engine for two hours which got the batteries back to 90%. I will keep them between these two levels and then each week give them a long charge back upto 100% which will hopefully keep them in good shape. Our dog Oscar has not realised yet that it is not necessary to get up at 6.30 am each morning so tomorrow we will get up with him and after a quick breakfast move forward to the water point to refill the tank. 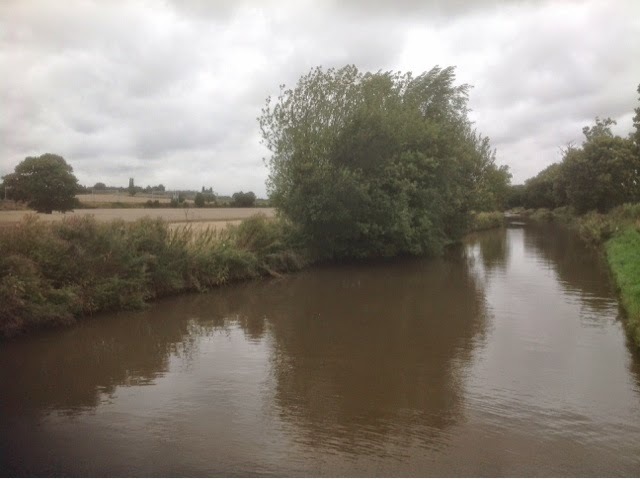 It is then only a few hundred yards or so to the first lock of the Atherstone flight which consists of eleven locks in total. This will probably take us an hour and a half or so all being well. 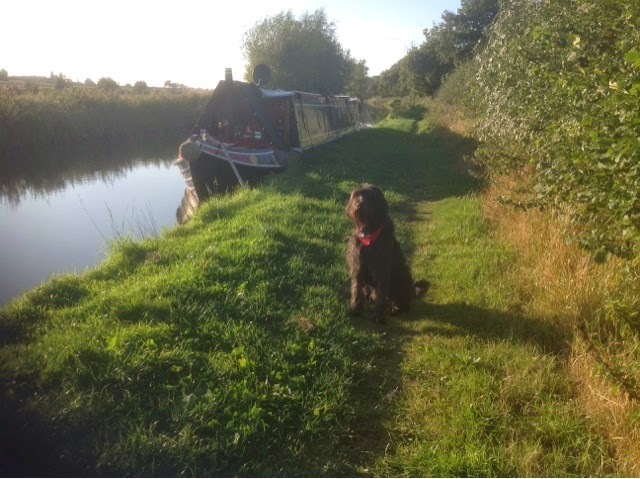 Our next mooring point is planned to be the far side of Atherstone and hopefully near a pub. Anyway back to today. 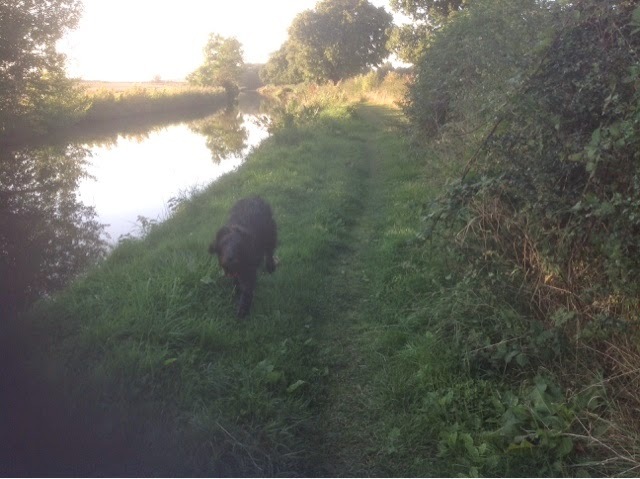 After maintenance duties were completed we walked the towpath back to Polesworth and had a brief drink in the Royal Oak. This round trip was nearly five miles and was probably the first time I have walked that far in one go since my days in the scouts. It was however very enjoyable. On return to Achernar an afternoon of snoozing in the sunshine was the order of the day as well as eating some of my chocolate birthday cake. Well the big day arrived this morning. We both retired a couple of weeks ago and since then have been busy adding the final touches and making a few essential purchases. Our first problem was reversing across Glascote Basin in the wind in order to have a pump out before departing. This manoeuvre was conducted at lunchtime which I am sure gave the workers much amusement whilst eating their sandwiches. Having skilfully conducted this move ( ha ha ) we decided that rather than go back on our pontoon and depart tomorrow as planned we would go today. First hazard was the new Hudson boat Brigand moored right by the bridge 'ole. 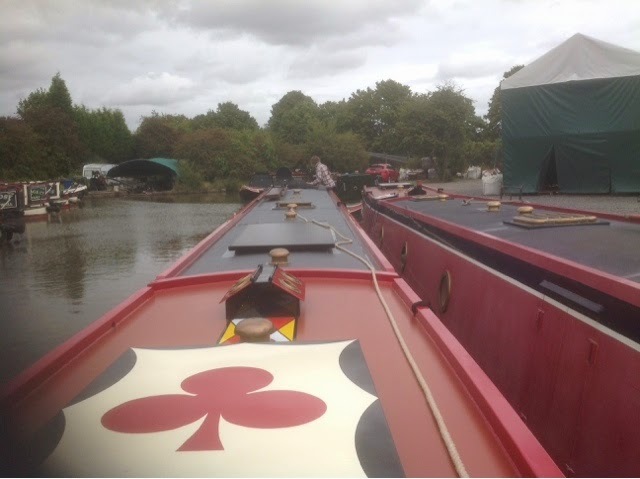 We eased past Brigand and out onto the cut for the first time ( in our own boat ). Turning left we headed off towards our intended overnight mooring near the village of Grendon. This was about a two hour cruise and we only met three oncoming boats. 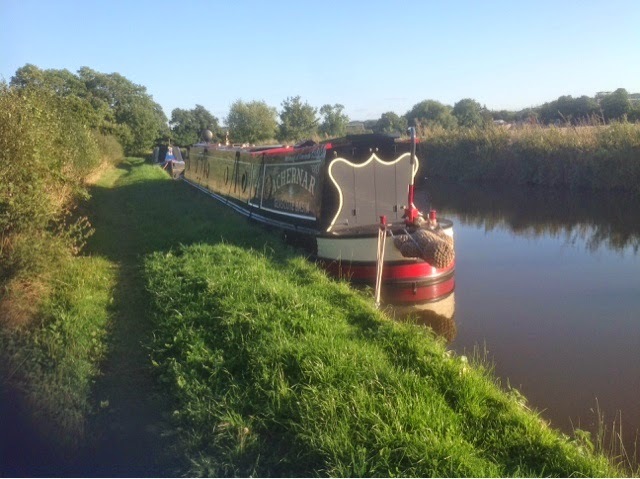 We arrived without incident and are now safely moored. The satellite dish was aligned in no time and we are now settled for a day or two. It will be interesting to see how we manage the electric now we are on battery power only. The above is the view from our rear deck looking back the way we came. Time to sign off now as I can smell pizza in the oven.